Good Things, Humor, Literary Ramblings and Thoughts, Love and life, Motivations, News Worthy, Non-Fiction, Other Musings, Why Not? As most of you probably know, I’m not from the place in which I currently reside. I live on Long Island, Long Guyland, as many of the residents here call it. Local accents can range from none to Joey Buttafuoco-esque, if ya know what I’m sayin. I would say, “If yew know what I-I-I-I me-an.” Southerners are notorious for dividing one-syllable words into two and really dragging those ‘I’s” out. 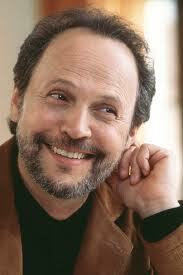 Billy Crystal, a Long Islander who grew up in Long Beach. Love him. 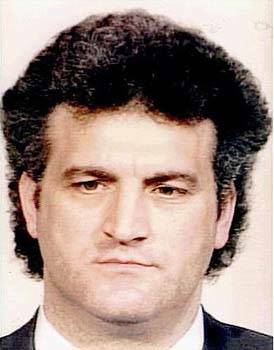 Joey Buttafuoco, another Long Islander. Yo. Many times people will ask me, “Ya not from heah’, where ya from?” I personally don’t think I have that much of a Southern accent anymore but people from Long Island and Manhattan can pick up on those nuances in a New York minute. One of the best things about living near Manhattan and on Long Island is that you can enjoy a range of accents from any and everywhere — here, there and all over the world. We live twenty-two miles exactly from the Empire State Building but try getting there in a car and you’ll spend the entire day driving to and from it. All that traffic, the bridges, tolls, horns — I was terrified the first time I missed an exit and wound up in Alphabet City in New York. But hubby and I visited the massive Trader Joe’s and Trader Joe’s wine store and we managed to get back to Long Island, unscathed and happy with our purchases. We just take the train now. You can find stuff like this in a bodega. Long Island is full of hamlets, villages, townships and they all run into one another and some of them are beautiful and charming — like little Norman Rockwell villages. 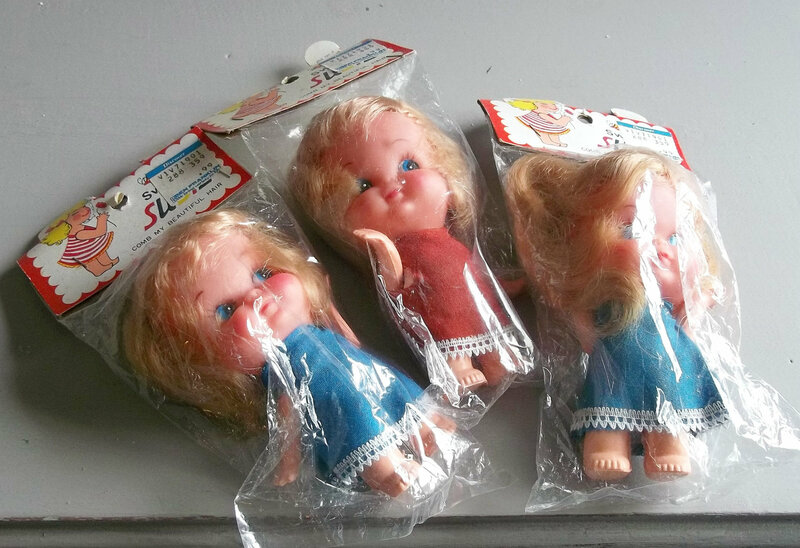 There’s bodegas, which contain stuff that looks as if it’s from the 70s and it never sells. I don’t know why it’s there, nestled and cluttered around all the rolls of lotto tickets. I still don’t know all the ways you can play the lotto here. It’s very confusing to me. There’s a bazillion diners, here on Long Island and in Manhattan. Some of them are big, some of them, little slivers of buildings tucked in strip malls between a laundromat and a dry cleaners or a bodega and bakery or a sun-tanning place and a meat market. They all have personality and it’s fun to visit them. Listen to the patrons and listen to all the dialects that swirl around within them. I have a favorite here on my Island of Long. It’s at the “Merrick Mall” which really isn’t a mall, not the kind you think of. There’s a pizza/Italian restaurant, a CVS, a Stop and Shop and a laundromat. 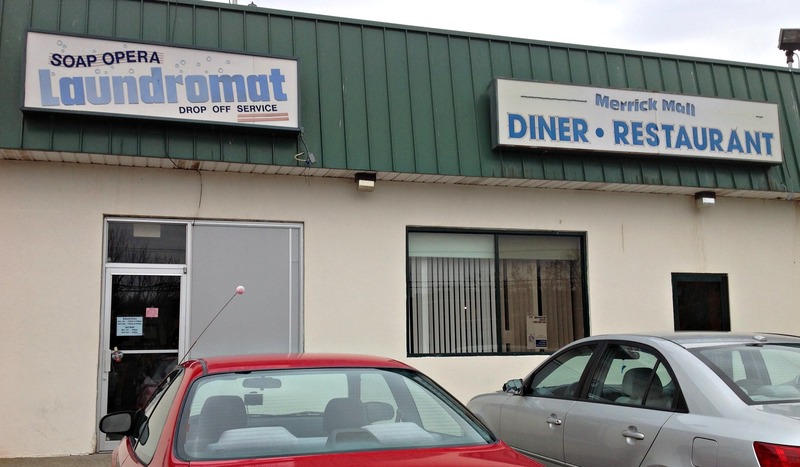 It’s modestly called the Merrick Mall Diner and it’s been there for over thirty years. Owned by a wonderfully fabulous Greek family. Merrick Mall Diner. I go in the back entrance usually. I love my Big Fat Greek Diner. There are more upscale ones here but this one — these people, they took care of us when Sandy blew into our coast line last year. Hubby and I would go frequently, eat lunch, drink gallons of coffee and check and send emails, make phone calls. The owners had other members of their family there at that time, helping out to serve the influx of customers. Their young daughter from Manhattan was there. She was going to law school, but had come in to help out. It was warm and there was a wonderful sense of community. We are Greek! We are Loud! The ambiance in my Big Fat Greek Diner is superb. The first time we visited we had been scarfing down some fine food. The men that are always there were over at the counter, gesturing and speaking loudly in Greek. The lady comes over and says, “We are not mad, we are loud — we are Greek!” I freaking loved that. It’s like that every time I visit. Earlier this week, I drove to the gym and on my way home, I stopped in for one of their lunch specials, taking my computer to write. It’s a great writing place. They have free Wi-Fi and I’ll walk to my back booth, maroon-colored vinyl with formica tabletops and a patterned maroon cloth back. It’s very comfy. Mrs. Greek walks up to me and asks politely, “Whot may I git for you?” I questioned her about the specials, drawn to the hamburger and fries. “It comes with soup or salad, wich would you like?” She asks pleasantly, waiting for me to decide. “Chi-con rice, chi-con noodal or Monhotton clam chowda,” she answers with her lovely smile. I’d already eaten the cup of chowder and taken a bite before I thought to take a picture. It’s great and around nine bucks — the whole thing — with tax. I chose the chowder and she brings me iced tea (free refills) immediately. Soon my feast sat in front of me. Meanwhile, the two men, one dressed in a blue plaid shirt and ball cap, wearing a gold chunky chain, spoke to the other man in a bright red windbreaker with some kind of crest on it, also Greek. They spoke loudly, throwing their hands in the air, gesturing excitedly. Not in anger, just trying to explain their point of view, I’m guessing. I settled in and ate, enveloped in that warm and cozy place, television noise and wonderful Greek dialect serving as soothing background chatter as I tapped away on my laptop. None of them have ever asked where I’m from. 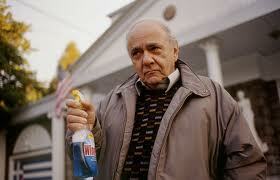 Michael Constantine, from “My Big Fat Greek Wedding,” one of my all-time favorite movies. Okay, first of all this post made me hungry. Having grown up in New York I miss the food and naturally the diners like crazy. The diners in Illinois don’t even come close. This was a real slice of life, Brigitte. I love the way you wrote things phonetically – it really makes it come alive. very funny!! This post was delicious! well done!! by the way, I love the beaches on Long Island – Jones Beach and Robert Moses are my childhood favorites. 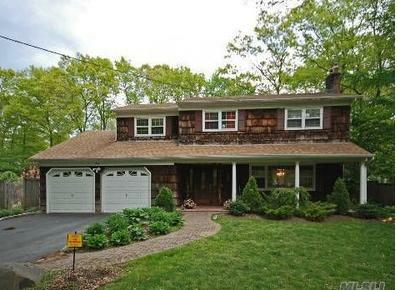 I honeymooned in Montauk and my mom lived in Old Westbury. So I’m very familiar with the sights and sounds of your world. 22 minutes to Manhattan! I guess that’s clocked during an apocalypse when you would be the only person in the tri-state area! !, OY Vey!! Lisa, that’s a good thing. And so are diners. Isn’t the movie, Big Fat Greek Wedding supposed to be set in Chicago? Remember it was Zorba’s Greek Diner? I’m so glad you enjoyed the post, Lisa. I like to work in dialogue every once in a while. Long Beach has a gorgeous beach as well and they’re in the process of rebuilding the boardwalk. Hubby and I drove up to Montauk one weekend and there’s a really cool lighthouse there as I’m sure you know. Wow — Old Westbury — it is BEAUTIFUL there. Remember Garden City? You should see the downtown area — very quaint, pretty. And I wrote 22 MILES to Manhattan, not 22 minutes. I don’t know anyone, even in the city that can get from here to there in 22 minutes. ;). Thanks Lisa! Haha! I thought 22 minutes was only possible with zero people and a new speed limit! I’m glad you set me straight. I was trying to make it work. My mind was like, “What the heck? ?” lol!!! Hi M, I know. I do too. They’re so cozy and they remind me of small towns. 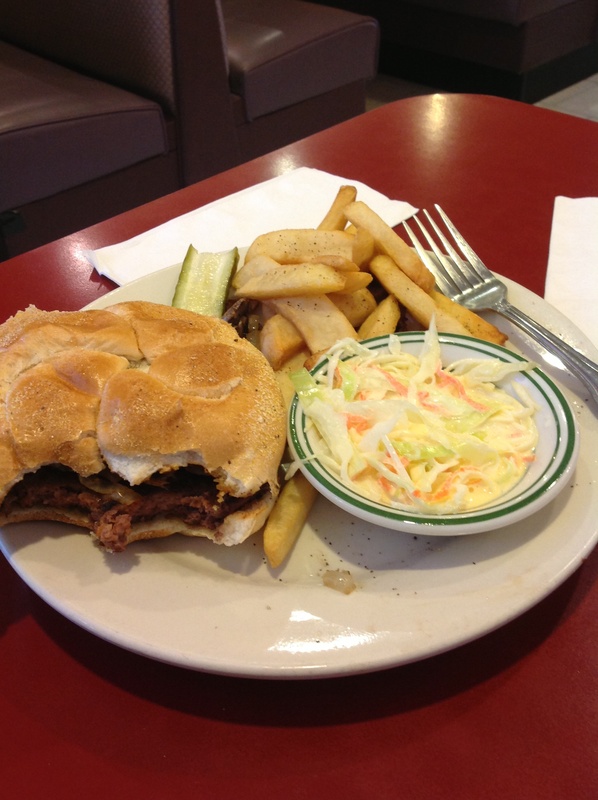 Sometimes nothing beats a burger from a diner, you know? We keep meaning to go to that diner! Where is it? I can google it. There’s another one “Island Diner” that’s on the show, Rules of Engagement I’d like to see as well. I hope you get some nice diners in your area soon — they can be very comforting, as you know. Thanks, M.
Well, I’m biased, having spent most of my life on Long Island, but I loved this post! You made me feel nostalgic about my stomping grounds and longing for home. Love the diners on Long Island, but found that although once they were not only the BEST places to get food but also the most AFFORDABLE. In at least the area where I grew up (further EAST of you), most of the diners have hiked up their prices A LOT or have completely closed down. My sister used to work in many a Greek diner and can rattle off a hefty helping of Greek phrases and saying complete with the full physical expression. It’s funny as all heck. Very colorful and full of life. Thanks for the good vibes this morning! Everybody should have a place like this to go to. Now I’m craving Greek food. Spanakopita! One of my best friends is Greek and I love being around her and her family! They are all loud but rarely are fighting! I’m always on the hunt for a diner like this to write in around where I live, but it’s kind of hard! Lucky you, Em! Google it — there has to be one somewhere and make it your own. Pretty soon, they’ll know you. Burger and fries — sometimes you just gotta give in and eat them, you know? Love the Windex – ha! Ha! Craves, he thought Windex was a cure for any and everything. Thanks! That sounds like a fun place…lots of atmosphere. Loved how you wrote the accents. I could hear it in my head. Hi Char, it is nice. I like it when I have the place to myself. Thank you for that compliment — that means a lot coming from you! Ha! I loved that line on My Big Fat Greek Wedding too! We don’t have diners in Australia – we have cafes, restaurants, pubs or bars. I know what you mean though about having a favourite warm, welcoming space to go to, where you know you will be welcomed and fed well (and makes good coffee – sooo important). There isn’t really one in my home town that does all these things sadly – there are nice places that make terrible coffee, and horrible places that make great coffee, and mediocre food all around. Sigh. Hi Sara, wasn’t it a great movie? I loved the mother of the family — so loud and she wore colorful clothing. The entire cast was perfect. That’s too bad. I guess you could decide if you’re hungry or if you just need some good coffee and choose that way! Thanks, Sara. Exactly :). I have wonderful memories of great cafes though, and I am sure one will come back to town one day! 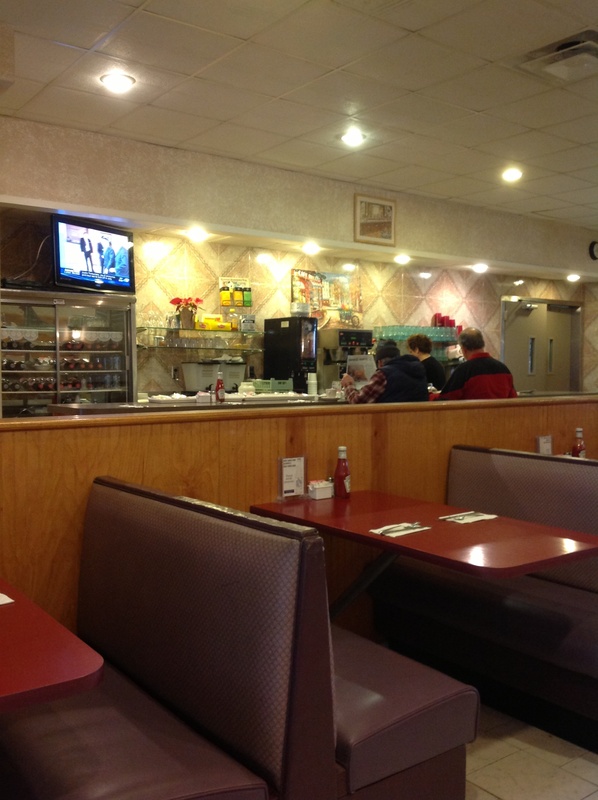 I love places like this diner — no pretention–and happy, loud people. My husband’s family (on his dad’s side) are part Greek–they have relatives who are “whole” Greek and were quite disappointed to find out that my husband was marrying someone who was not Greek (my husband is only about an eighth Greek if that). I am guessing they are from the branch of Greeks who think everyone wants to be Greek. I love Greek food and the eighth or sixteenth of my husband that is Greek. Yes, a place where you can come as you are. The first time I saw my hubby I thought he was Greek. In the movie, Big Fat Greek Wedding, they weren’t happy about someone not Greek marrying their daughter, but it all worked out. Sounds as if yours did it, Lou Ann. 😉 I love Greek food too — it’s good and good for you. I enjoy Greek food, gyros are a fave of mine. I have Lebanese neighbors and they often treat me just like your diner friends. They just want me to sit, eat, eat, eat (the baba ghanoush legendary) and get in on the discussions, which are loud and with hand gestures as well. So jovial and animated, being there makes me feel like a part of their family. Hi Kristy, so nice to see you here. I am following your blog but I’m not getting the alerts about it. I’m going to have to look into that because your blog is so beautiful to look at and read. I love Greek food too and I love loud, fun people who aren’t afraid to have a good time. Jovial and animated — two nice things to be known for, huh? Thanks Kristy. I feel like I’m there. I wish I were there. I miss the ethnicity of the East Coast. Oregon doesn’t have the ethnic neighborhoods like Boston or Chicago or a lot of New York. Great post and what a nice escape. I so miss Lonk Guyland (as my husband says I say it) – If you go by Shoreham Village (north shore, Suffolk Cnty) – smile at it for me….Find Have a Pizza and get something yummy…. And eat at ALL the great diners on my behalf…. Hi Ruta, I read somewhere about your living in Shoreham. We have probably driven through there — it’s near Port Washington (or is it Jefferson) isn’t it? It’s beautiful there. We are on the South Shore and in Nassau County. I will make it a point to find the “Have a Pizza” place. That house — it’s beautiful!! This made me so freaking nostalgic for the Greek diner that was across the street from our apartment in Chicago. B and I used to go there when it was so cold that the idea of even walking across our little street for food was almost too daunting. But it was always warm and cheery in there. The food? SO GOOD! And no one ever asked us where we were from. We were always included, despite our accents. Thank you for reminding me of that place. Em, that sounds so cool and that cold thing, I know what you mean! Although I’ve heard Chicago winters can be brutal! Those little diners that the locals visit and have been there forever, they really are the best. Thank YOU, Em for your nice comment and glad it reminded you of a good memory. I’m part Greek on my mother’s side, and she goes to the Greek Church in my home town. (It’s also the only Orthodox Church there.) A lot of the church members own restaurants there, but they serve mainly American food. I don’t think the town’s adventurous enough for real Greek restaurants, which is too bad. They don’t know what they’re missing! I felt like I was sitting with you at the table and enjoying a good meal. Thanks for the tour! People from here are very nice but they don’t do the “hi” thing as much as the South. I think it’s because it’s cold alot here and most of the time, you’re just walking to try to get to where you’re going. But they (Long Islanders and New Yorkers) are a very friendly and warm people. I think they have an accent but it’s me that has one in this territory and that’s okay with me. Seriously though I don’t have that much of an accent anymore, just certain words and I’m like you, I smile a lot too. Thanks, Lillian. Great post Brig! As I was reading it, I was craving a burger and fries. My pal, Coco, is from Long Guyland. The first time I heard her say mirror and drawer, I thought she was speaking an entirely different language. Since she’s relocated to Manhattan, she’s been keeping her accent on a shorter leash, but it’s always hovering. A guy once suggested she take speech lessons to lose it. She ditched the guy instead. Hope you satisfied that craving, V! Your friend Coco sounds cool and tell her to keep her accent and be proud. I think she did the right thing by telling that guy to get lost. Where was he from? One of those guys that NEVER leaves Manhattan? Thanks, V.
I think like most New Yorkers he’s originally from someplace else but then, like most New Yorkers, he reinvented himself here. Coco, on the other hand, is the real deal from birth. One of her favorite expressions is EABOD or “Eat a bag of dicks.” I don’t think she suggested that to him. Publicly, she’s actually very well-mannered, but The Real Coco speaks fluent sailor to her posse of which I am a proud member. Did they offer to put windex on anything 🙂 I love diners too. I work in a very small town in the south and sometimes you’ll see a business that is a two-fee. Maybe it’s a gas station/pizza joint. Maybe an embroidery/gift shop. A new one just opened called the Farmer and the Deli – it’s a land survey office and a diner. The owner stops working surveys from 11-2 and serves up homemade soup and the best chicken salad I have ever seen. Lunch is 5 bucks – cash and she doesn’t make change. If she likes you she will refill your soup bowl. At 2 she takes off her apron and gets back to surveys. I love this post Brigitte. It is Friday morning and I am getting ready to have my breakfast at my “usual” Italian diner in the next town over. I go there twice a week but Fridays are my absolute favorite day. I was raised in the valley town of CT– the old rough factory towns. We all have our own dialect and you can totally tell where I am from. AND that I am NOT a townee of the place a currently reside. I like that– however people are quick to judge based on it. Have a great day– i will raise my cup o’ joe to you this morning as I sit, observe and take in life at my comfy table at my tiny bustling Italian diner. I shook up my usual today. Been a funk. Had Choc chip pancakes instead of eggs. yUm. I loved your post. I felt like I was sitting there with you. I was a nanny on Long Island (Water Mill) for one month. It’s very beautiful there but very expensive! I guess it’s just because I was in The Hamptons but a lot of the people there are absolutely horrid! Once, I wandered into a painter’s studio/shop and he tried telling me he loved my eyes and his art was on the walls at Nikki Hilton’s house and therefore I should come back later so he could paint me. Nope! Nevertheless, I do still kid of miss it there. Hi Jennifer and welcome! Watermill is a gorgeous little town. We’ve driven through there. All those little places up thatta way are. And yes, it is super expensive. There’s a little place in Southhampton where a lobster roll sandwich (hot dog bun and some lobster with mayo and celery) runs you about $45 — ridiculous!! Hmmm, maybe you should have taken the painter up on his offer — your “eyes” could be hanging in some mansion in the Hamptons now. ;). Nah, you went with your gut and that never fails. Thanks, J.
I’m not greek, I’m not Southern, I’m not from Long Island. And yet, when I read your post and settled into the seat across from you, I felt right at home. Ahhhhhh. Thanks for that. Doesn’t matter, Michelle. Now do you want fries with that burger? ;). Thanks!! I love accents and dialects. When I hear an accent I can’t identify, I burn with curiosity. I’ll actually ask a person about their accent. I’m surprised every now and then by people who react badly to this question. Most people don’t–in fact, a lot of times people are flattered that I can identify their accent. Recently, at the local head shop, I was talking to a guy with an accent. I commented on it, and asked where he was from. “England,” he said, apparently thinking I was a moron. “Yes, I am from the Middle East,” he said finally. I wanted to know from where (I’m guessing Jordan), but he was clearly so sensitive about it I didn’t ask. Hey Smak, I’m that way too. I’m fascinated by those who can speak numerous languages. At the local wine shop last week, I noted a young woman speaking on the phone in what I thought was Mandarin. She, unlike some people, actually got off the phone to take care of a customer — imagine that! Anyhoo, I asked her if she was speaking Mandarin and no, she was speaking Cantonese. She then proceeded to tell me about the differences and where she was from. It was cool. Some people do maybe get all sensitive about it (I have) but for the most part, I think people are just curious, as you are. And being curious about someone is being interested which is rather flattering, I think. Thanks!